Microsoft edge is the latest browser launched along with windows 10. Edge has a reputation different from Internet explorer and its a fast loading browser which do not crash frequently. They have termed it as spartan browser. But, edge shares an annoying feature with Internet explorer and that is offering to remember passwords. Now, in other browsers, this is not on by default. 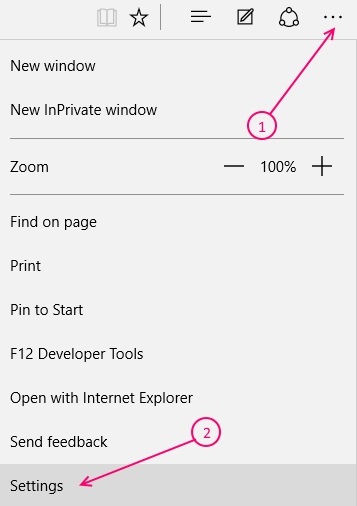 But, in edge this is turned on by default. Once you press yes, the password will get saved in encrypted format in edge and the next time you visit that website, the password will be pre-fetched and auto-filled in password field as soon as you enter the username. Keeping security in mind, most of people never use this feature in their lifetime, but it’s irritating to see this message every time you open the browser after you have made up your mind to not use this feature anymore. 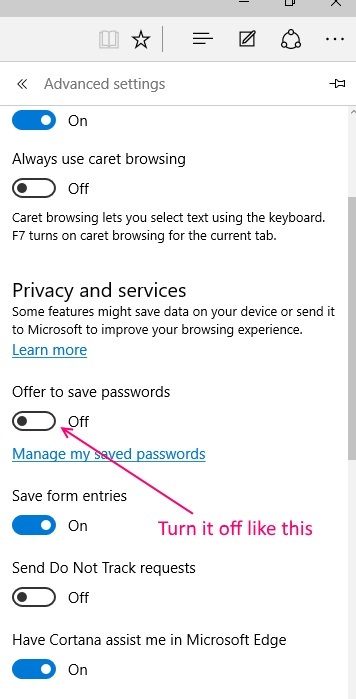 If you are not the only user who uses your PC, it’s strongly recommended turning off this feature. 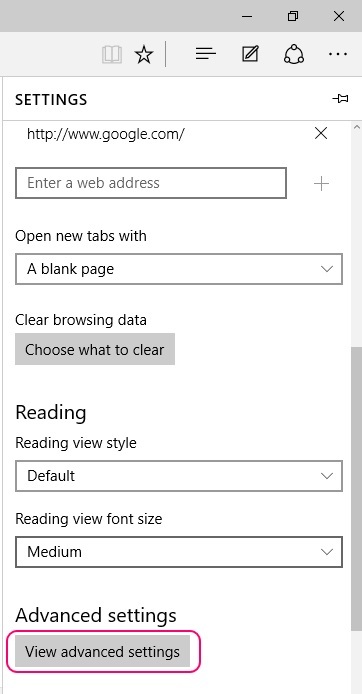 Step 1 – Open edge browser. Just click on three dots at the top right of the browser window. Step 2 – Click on settings from the menu. Step 3 – Now, scroll down and click on view advanced settings. Step 4 – Now, below privacy & Service there is an option saying offer to save the password. It must be turned on. Turn it off. You are done. Edge will no longer offer to save password and from now onward that message (Would you like to save Your Password) will not bother you. 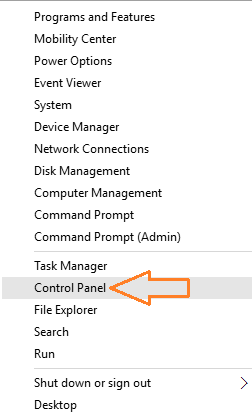 Step 1 – Press windows key + x and click on control panel to open control panel. Step 2 – Now, once you arrive at control panel. click on user accounts. Step 3 – Click on Manage web credentials. Step 4 – Now, click on all the listed web credentials one by one and click the remove link to remove them.